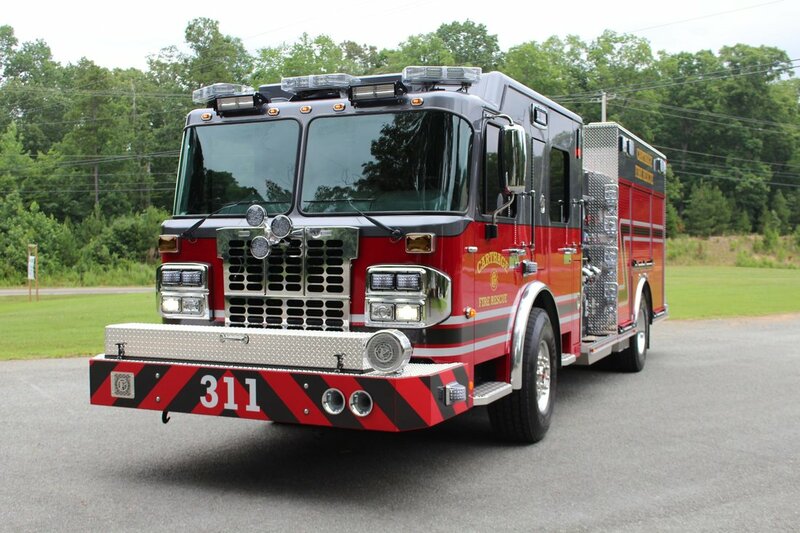 On December 5th, 2014, the Carthage Fire & Rescue took delivery of a 2015 Chevy Tahoe Special Service package to replace an aging 2004 Ford Explorer for the Fire Chief. Many upgrades are being placed into this vehicle as it will also be a mobile command vehicle on fire scenes. The vehicle will be equipped with two (2) radios, command box, extra scene lighting, more warning lights, traffic advisor and dash camera to record fire calls to be used as training aides. Below are some photos of the vehicle progress of installing emergency lighting and equipment done by HELS Hill's Emergency Light Sales. Carthage Fire & Rescue held their annual Christmas party on December 6th at the Sinclair Building in downtown Carthage. Current and retired members of the department along with their family enjoyed dinner, dancing and fellowship together. Every year awards are given for Officer of the Year, Firefighter of the year and Service Before Self. This years recipients for Officer of the Year goes too, Captain Darrell Sauls, Firefighter of the Year goes to Brian Kreitz. Both members are well deserved of acknowledgement, due to there outstanding service and selflessness for the department and fire district. The Service Before Self award went to Ronnie, owner of local restaurant Ronnie's Chuckwagon. Ronnie has long supported the Carthage Fire & Rescue in their hot dog fundraisers and supplying the firemen with food and drinks on long calls. Thank you to all of our award recipients, members, non-members and families for all of your support and love that makes the Carthage fire & Rescue all it can be for the community. Merry Christmas! The 14,000 square ft. Carthage Fire & Rescue Department is located at 4396 HWY. 15/501 in Carthage where the department moved to in July 2002. The department is staffed with a paid Fire Chief, 2 full-time fire fighters, serveral part-time fire fighters and 53 volunteers. They serve an area of 113 square miles and a population of approximately 4,600 people. It is the mission of the Carthage Fire & Rescue Department to provide the highest level of life and property protection services through aggressive fire control, fire prevention, rescue services and public education.